Electrocorp's RSU series offers advanced industrial air scrubbing and significant business value. They work to thoroughly clean then recirculate air providing exceptional savings over exhausting systems. 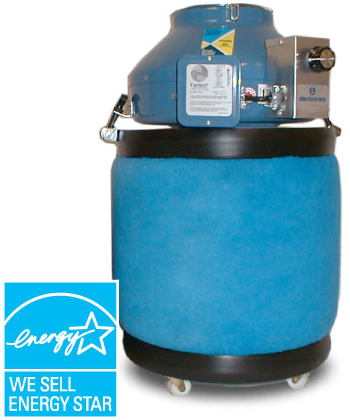 Units can be used as stand-alone air cleaners or can be ducted directly to process machinery for source capture. Electrocorp's radial air purifiers are the next generation in industrial/commercial stand-alone units. RAP's are engineered to be quieter and more powerful, providing exceptional air scrubbing in an attractive format. Maneuverability: 5 x 2" diameter wheels.